We recently returned from a road trip along the central Califonia coast. The landscape is beautiful, and we saw no shortage of breathtaking sites. One of our favorite stops along the way was Napa Valley. Keep reading to find out why we liked it so much, where we stayed, and what we did. 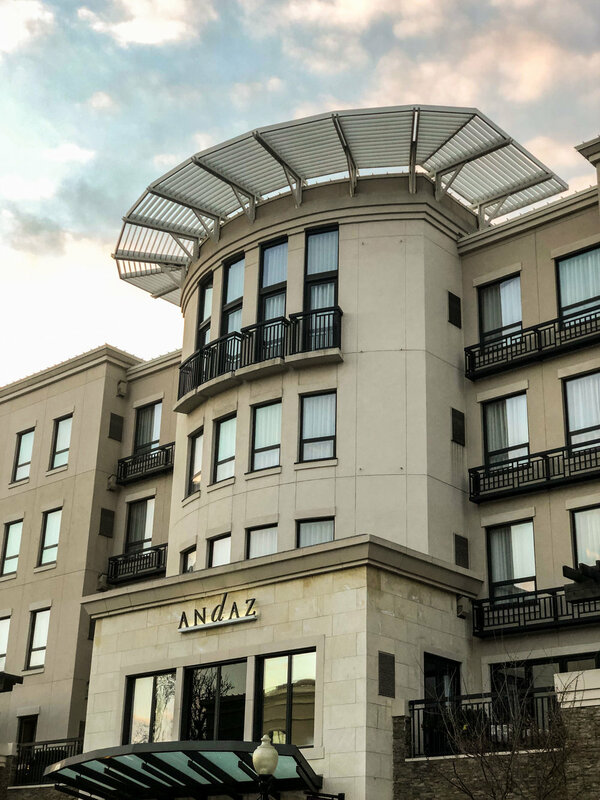 The Andaz is located in downtown Napa. 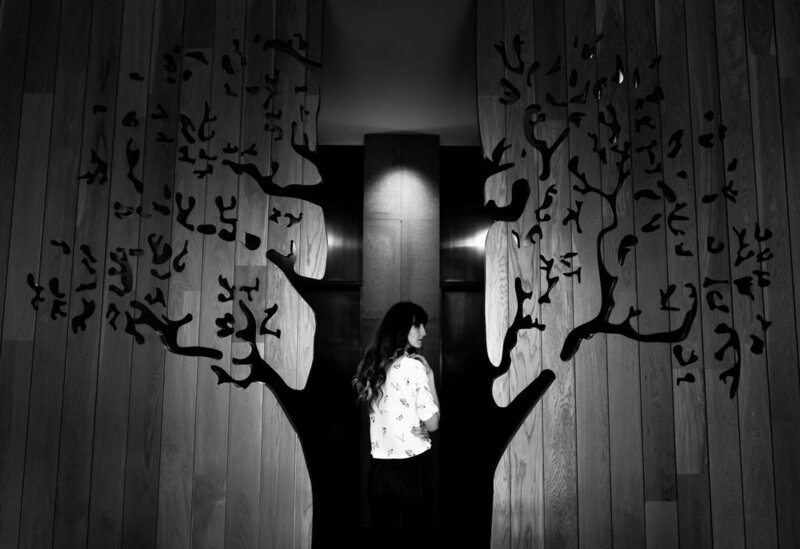 Our first stop was to check into our hotel, The Andaz Napa. 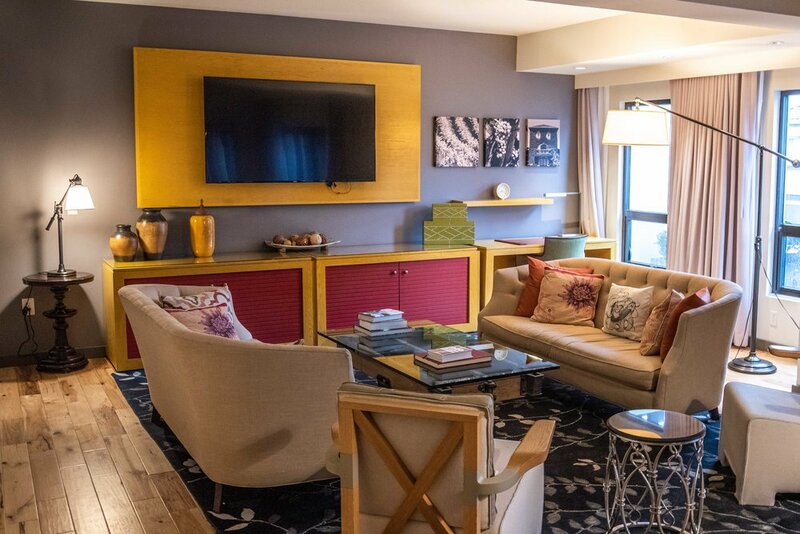 The Andaz is a hip boutique hotel in the heart of Napa. Since it's right downtown, we were just a short walk from several restaurants and shops. The staff put us in the Vintner Suite at the hotel, and the room was fantastic. It was seriously larger than our apartment. It was a multi-room, two bathroom suite with a wall of windows that opened up to a private balcony. The bedroom featured a large soaker tub, fireplace and private entry to the terrace. The room was so bright and spacious. As great as Napa itself was, we didn’t want to leave our suite, and we hung out there quite a bit. Of course there are books on wine. It was nice to wake up every morning to coffee and a fireplace in the bedroom. The living room in our suite. This place was seriously bigger than our apartment. A wall of glass opened to our balcony. Charise trying hard to be natural. 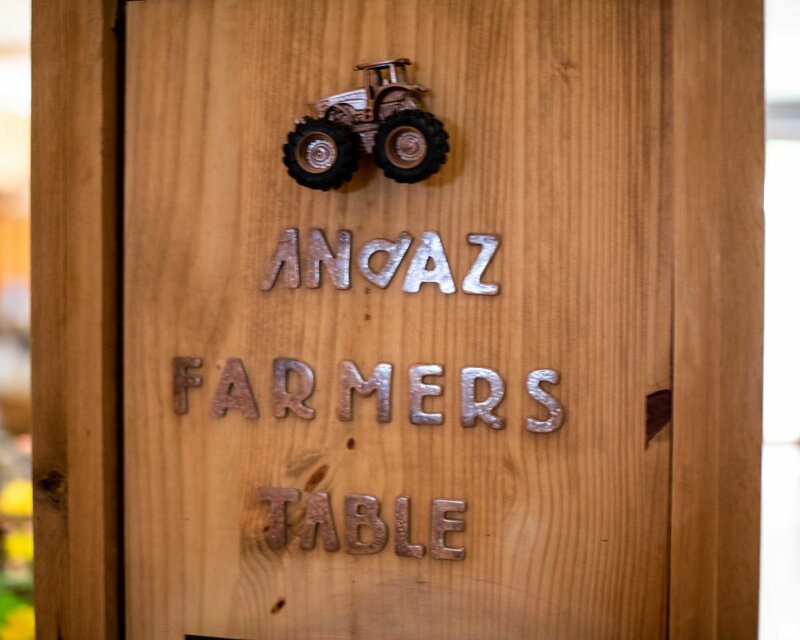 The lobby of the Andaz features a delicious restaurant called the Farmer's Table. We ate there for breakfast the next morning. All of the dishes were fresh and vibrant. I ordered the chiliquiles benedict. Chorizo, poached egg, and chipotle hollandaise served on fresh tortilla chips instead of a more traditional English muffin. Charise, of course, went for the more healthy route by selecting an egg white omelet filled with fresh veggies and a side of potatoes. Along with coffee, we had quite a meal. After the spread we ordered, we left to visit some of the wineries in the area. No visit to Napa would be complete without touring wineries in the valley. 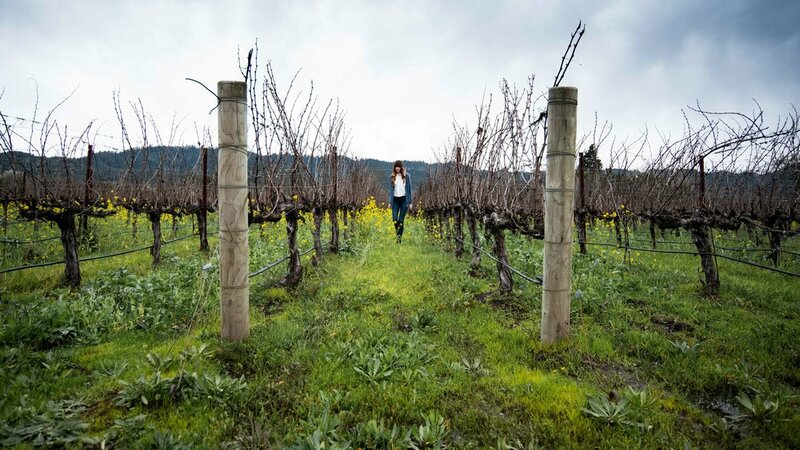 Napa has over 700 wineries in the area, so there’s plenty to choose from. We wrote more in depth about the experience here. We visited Del Dotto, Chimney Rock, and Domaine Carneros. Every winery we visited taught us a ton about wine. Some of the tours we did included food pairings. It was interesting to see how the different wines paired with small bites. We found that three tours per day was the magic number. Any more and everything starts to run together, and you're rushing from one place to the next. Plan ahead, make reservations, and you should have no trouble enjoying yourself. There are so many fantastic restaurants in Napa. The most famous of all is probably The French Laundry. The waitlist though is usually about three months, and the meal starts at around 300 dollars a person. If that’s too much for you to process, there are plenty of other great places to get a meal. We had dinner at Redd Wood. Located just steps from The French Laundry, in Yountville. 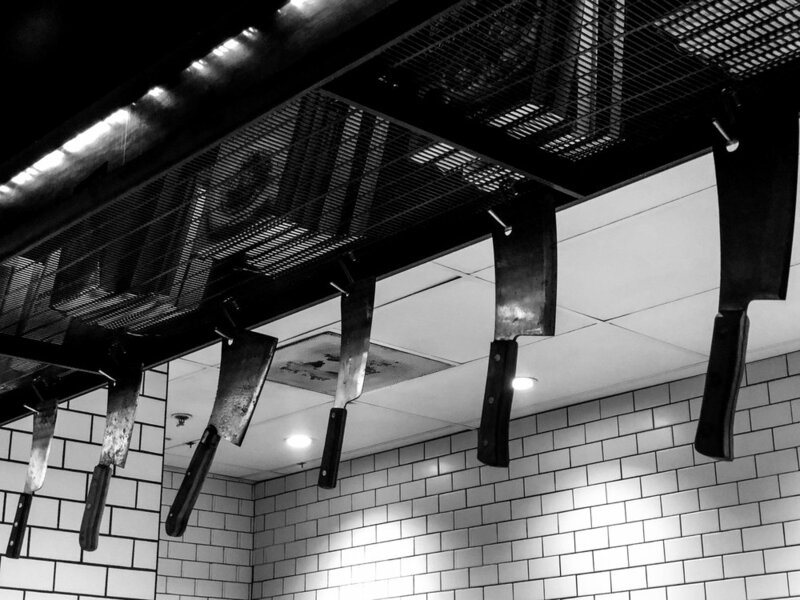 Redd Wood serves up unique brick oven pizzas. They also cure their own meats and salami on site. We started with a selection of cheeses and a few of the sausages they produce in house. 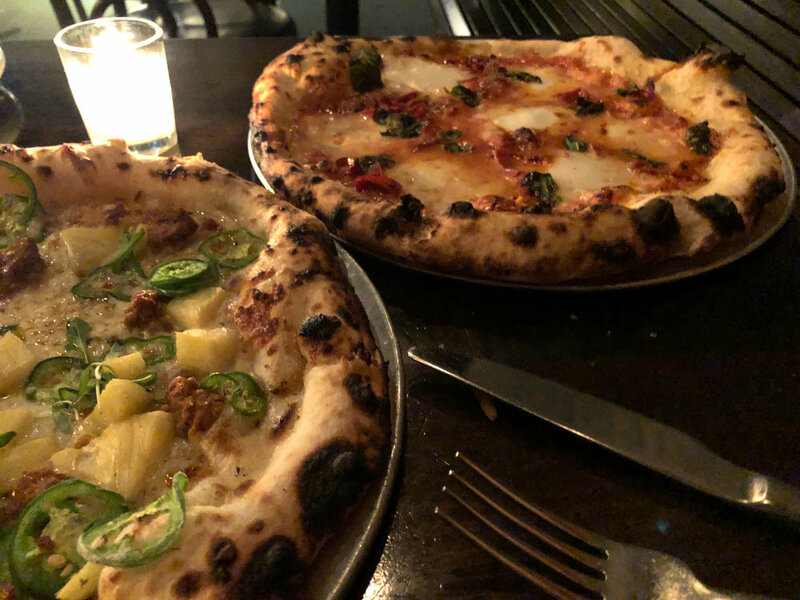 For the main dishes, I selected a pizza with chorizo, pineapple, and jalapeno. Charise kept it simple with a tomato basil pizza. Everything we had was great, and all of our servers were so nice and attentive. We left stuffed after finishing with a huge dessert sampler. We only had two days to explore Napa. We would have liked to do more tours and maybe have dinner on the Napa Wine Train. 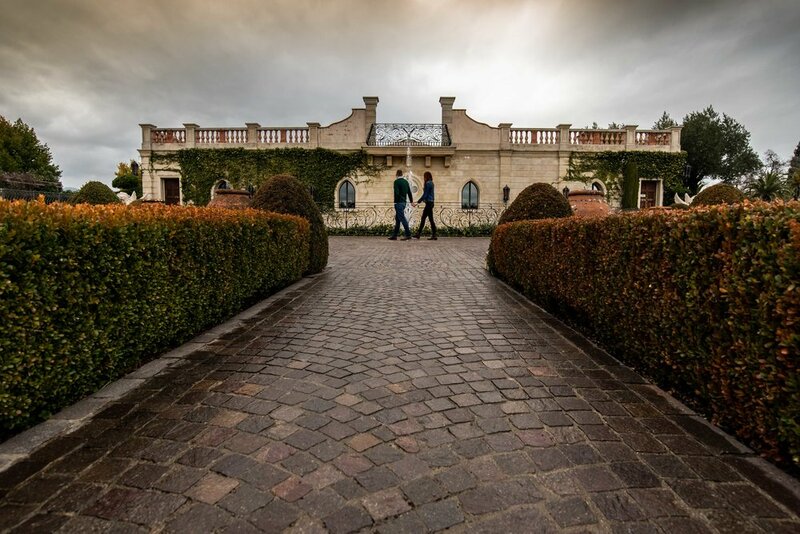 The wineries are the big draw, but there are several other things to see as well. We got coffee twice at Napa Valley Coffee Roasting Co, and both really liked their honey latte. 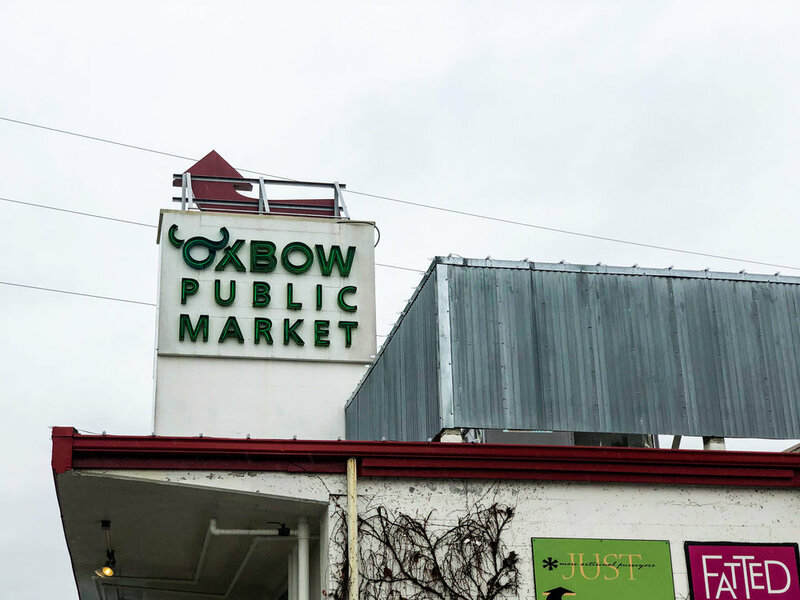 Just a few blocks away is the Oxbow Public Market. It's a large indoor farmers market with several different vendors selling their wares. Napa is filled with shopping, spas and several other ways to fill your time. The Napa section of our California road trip was our most relaxing. We had a suite we didn't want to leave at a fantastic hotel, and we ate and drank wine for two days. What's not to enjoy? It would have been great to have more time there, but we'll definitely be back. Have you ever been to Napa? Do you like wine? Answer below in the comments. 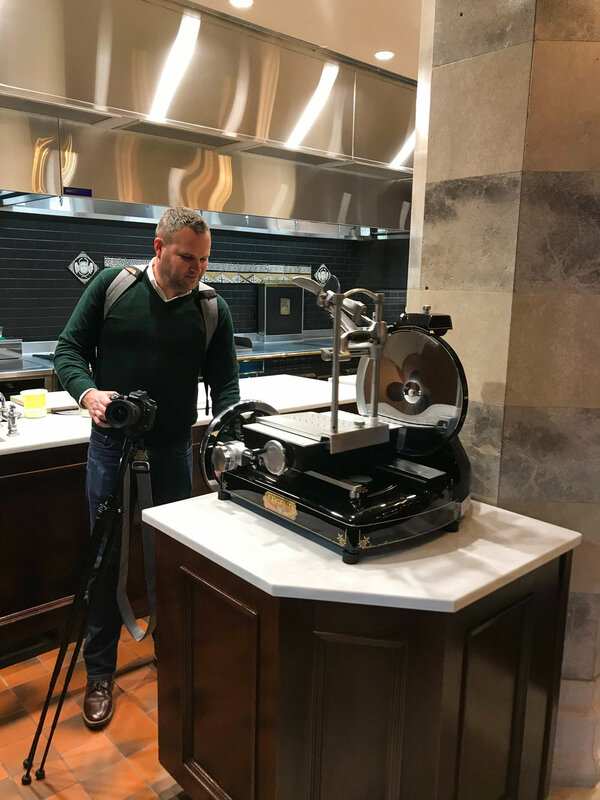 Disclosure - We received support from the Hyatt Andaz, Del Dotto Estate, Domaine Carneros, Chimney Rock Winery and Redd Wood.